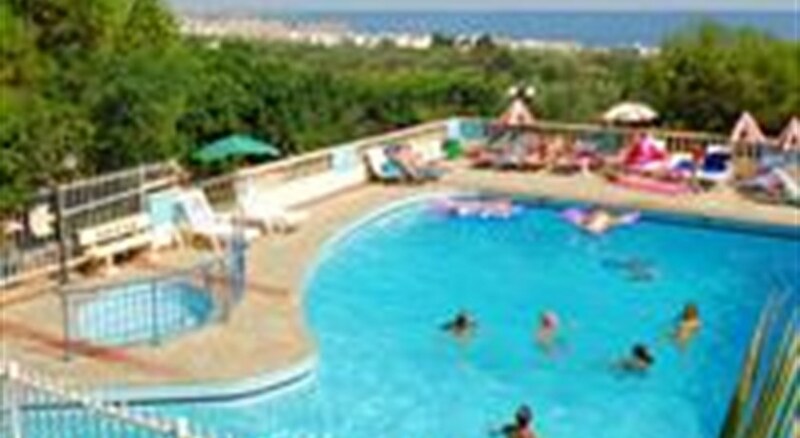 Small complex of apartments located in the village of Koutouloufari, overlooking the bay of Hersonissos. 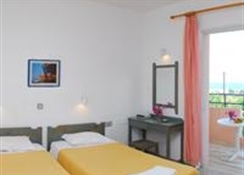 Adonis Studios is a complex of apartments located on an elevated position on the outskirts of the traditional Cretan village of Koutouloufari, 1 km away from the lively resort of Hersonissos and the beach, as well as being 3 km from Stalis and 26 km from Heraklion airport. 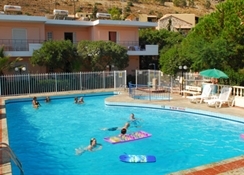 The facilities and services include outdoor pool, children´s pool, snack bar, luggage room and billiards area. The studios and apartments are equipped with A/C, safe (both with extra charge), telephone, kitchenette with two rings, fridge and kettle, balcony or terrace and bathroom with shower. Air conditioning is working from June to September with extra charge.